Wise® Premier Pontoon 50" Front Seat Group. Revitalize your pontoon's style and comfort with great-looking, premium-quality Pontoon Furniture from Wise! The heart of any seat is the foam, and Premier Series Seating from Wise® uses only the best. 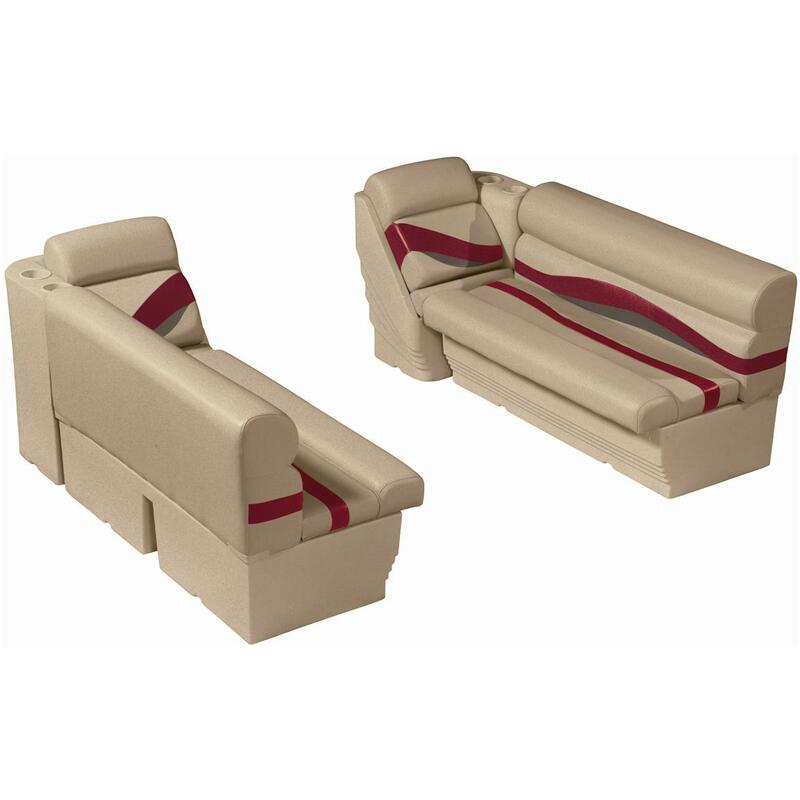 Premier Seating uses only marine-grade virgin foam at 1.5 density to bounce back season after season with just the right amount of firmness and comfort. Includes two 50" Benches, one Left-side Lean-back Recliner, and one Right-side Lean-back Recliner to provide a complete a front seat group. 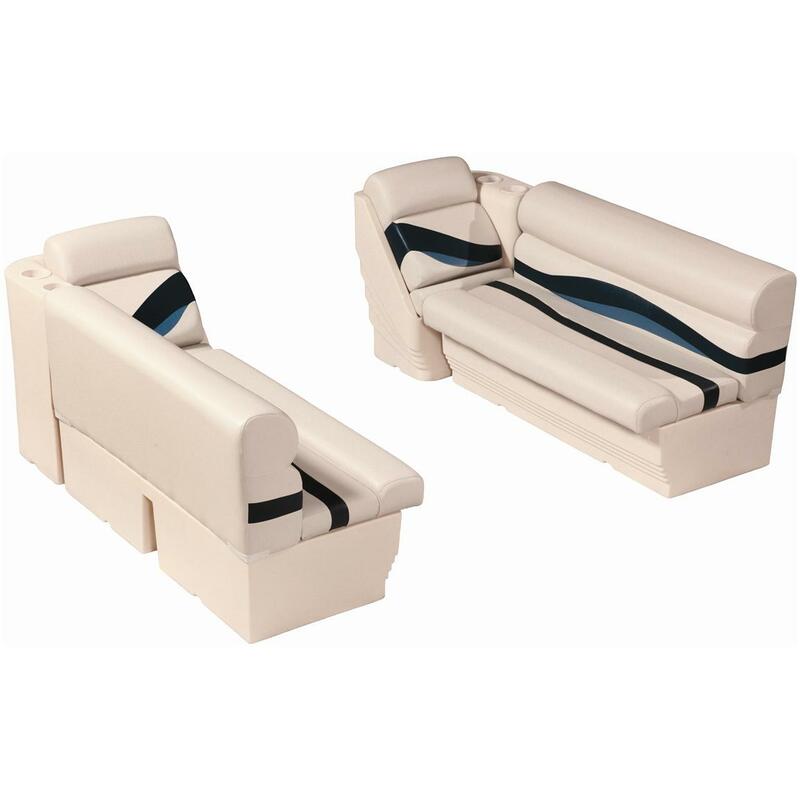 For your late-model pontoon, this is premium-quality, great-looking modern Seating you'll enjoy for years to come! Size: 54 x 21 x 14"
Size: 34 x 27 x 20"
Please Note: This item is shipped by commercial carrier curbside. Unloading is the customer's responsibility, including off the back of the truck. Ships on 1 pallet, 221 lbs. (Pallet weighs 40 lbs. itself). No expedited delivery. High-value orders require a physical street address, otherwise insurance costs will be added to the shipping total.